BUCHAREST, Romania, 15-Apr-2019 — /EPR FINANCIAL NEWS/ — Digi Communications N.V. (“Digi” or the “Company”) announces that on April 15, 2019, the Report regarding legal documents concluded by DIGI Communications N.V. in March 2019 or in other period but effective in March 2019 issued in accordance with article 82 of the Romanian Law no. 24/2017 and FSA Regulation no. 5/2018 was made publicly available on the Romanian Stock Exchange (“BVB”) and the Company’s website, while also being available with the Romanian Financial Supervisory Authority (“ASF”) and the Dutch Authority for Financial Markets (“AFM”). BUCHAREST, Romania, 15-Apr-2019 — /EPR FINANCIAL NEWS/ — In accordance with the ASF Regulation no. 5/2018 and art. 2 of the Commission Delegated Report (UE) 1052/2016, DIGI COMMUNICATIONS N.V. reports to the regulated market (Bucharest Stock Exchange “BVB”, Romanian Financial Supervisory Authority “ASF”, the Dutch Authority for the Financial Markets “AFM”) the transactions which occurred under the DIGI symbol between 8 April 2019 – 12 April 2019. BUCHAREST, Romania, 8-Apr-2019 — /EPR FINANCIAL NEWS/ — In accordance with the ASF Regulation no. 5/2018 and art. 2 of the Commission Delegated Report (UE) 1052/2016, DIGI COMMUNICATIONS N.V. reports to the regulated market (Bucharest Stock Exchange “BVB”, Romanian Financial Supervisory Authority “ASF”, the Dutch Authority for the Financial Markets “AFM”) the transactions which occurred under the DIGI symbol between 1 April 2019 – 5 April 2019. BUCHAREST, Romania, 1-Apr-2019 — /EPR FINANCIAL NEWS/ — In accordance with the ASF Regulation no. 5/2018 and art. 2 of the Commission Delegated Report (UE) 1052/2016, DIGI COMMUNICATIONS N.V. reports to the regulated market (Bucharest Stock Exchange “BVB”, Romanian Financial Supervisory Authority “ASF”, the Dutch Authority for the Financial Markets “AFM”) the transactions which occurred under the DIGI symbol between 25 March 2019 – 29 March 2019. BUCHAREST, Romania, 25-Mar-2019 — /EPR FINANCIAL NEWS/ — In accordance with the ASF Regulation no. 5/2018 and art. 2 of the Commission Delegated Report (UE) 1052/2016, DIGI COMMUNICATIONS N.V. reports to the regulated market (Bucharest Stock Exchange “BVB”, Romanian Financial Supervisory Authority “ASF”, the Dutch Authority for the Financial Markets “AFM”) the transactions which occurred under the DIGI symbol between 19 March 2019 – 22 March 2019. BUCHAREST, Romania, 19-Mar-2019 — /EPR FINANCIAL NEWS/ — The Company would like to inform the market and its investors that today, 19 March 2019, the Board of Directors of the Company convenes the general shareholders meeting (the “GSM”) of the Company (Digi Communications N.V.), to be held on Tuesday, 30 April 2019 at 12:00 p.m. CEST, at Crowne Plaza Hotel, Amsterdam – Schiphol (Municipality of Haarlemmermeer), Planeetbaan 2, 2132 Hz Hoofddorp, The Netherlands. appointment of Mr. Emil Jugaru as a non-executive member of the Board of Directors. http://www.digi-communications.ro/en/general-share-holders (for English readers) and at http://www.digi-communications.ro/ro/aga (for Romanian readers) to review the documentation package for the GSM. The above-mentioned section from the Company’s website also contain the English and Romanian complete versions of the 2018 Annual Report, the 2018 Consolidated and Stand-alone Financial Statements of the Company, as well as the Independent Auditor’s Report. The document named ‘Agenda and explanatory notes’ contains detailed descriptions regarding the items for the GSM. Any shareholder interested in attending or voting at the GSM needs to follow the procedures set out in the articles of association of the Company (available at http://www.digi-communications.ro/en/corporate-governance) and on the ‘Convocation Notice’ available at http://www.digi-communications.ro/en/general-share-holders). 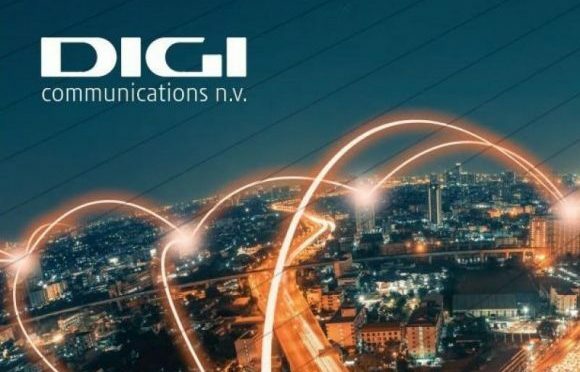 The agenda for the AGM and the explanatory notes thereto together with the Annual Report 2018 is available on the website of the Company (www.digi-communications.ro) from 19 March 2019 onwards and is, with effect from the same date, available for inspection and obtainable free of charge at the offices of the Company (tel. +40314006505 and address: Dr. N. Staicovici 75, fourth floor, Bucharest, Romania). Shareholders (which for the purposes of this notice includes holders of rights of usufruct and pledgees with voting rights) are entitled to attend and vote at the AGM (either in person or by proxy) if they (i) are registered in one of the (sub)registers as described below on the 28th day prior to the AGM and therefore on Tuesday, 2 April 2019 (the Record Date) after all debit and credit entries have been handled and (ii) in addition have notified the Company of their intended attendance at the AGM in the manner mentioned below. The designated (sub)registers are the administration records of the Romanian Central Depository (Depozitarul Central S.A.), and the shareholders’ register of the Company. Class A shares: holders of registered class A shares (which for the purposes of this notice includes holders of rights of usufruct and pledgees with voting rights in respect of these shares) who wish to attend the AGM (either in person or by proxy) must notify the Company of their intended attendance, which notice, accompanied where applicable by written power of attorney (see below), must have been received by Mrs. Carmen Otelea, the company secretary of the Company (address: Dr. N. Staicovici 75, fourth floor, Bucharest, Romania and e-mail digi.gsm@digi-communications.ro) no later than by Tuesday 23 April 2019 at 5.00 pm EEST. Duly registered shareholders will receive a receipt confirmation supplied by the Company which together with a valid identification document will also serve as admission ticket for the AGM. Class B shares: holders of class B shares (which for the purpose of this notice includes holders of rights of usufruct and pledgees with voting rights in respect of these shares) who wish to attend the AGM (either in person or by proxy) must notify the Company by registering via the Evo-platform of ING Bank N.V. (www.ing.evo-platform.com/digi) no later than by Tuesday 23 April 2019 at 5.00 pm EEST. Duly registered shareholders will receive a receipt confirmation supplied by ING Bank N.V. which together with a valid identification document will also serve as admission ticket for the AGM. Class A shares: holders of registered class A shares (which for the purpose of this notice includes holders of rights of usufruct and pledgees with voting rights in respect of those shares) may grant a proxy to (i) a third person or (ii) to Mrs. Carmen Otelea, the Company’s corporate secretary, and to Mrs. Eliza Popa, legal counsel of the Company (address: Dr. N. Staicovici 75, fourth floor, Bucharest, Romania), any of whom to individually and alternatively (and not collectively) execute the given proxy in which case such proxy must include unequivocal voting instruction(s). The holder of shares A will notify the Company of an electronic copy of the proxy at the following email address: digi.gsm@digi-communications.ro no later than by Tuesday 23 April 2019 at 5.00 pm EEST. Class B shares: The holders of class B shares may grant a proxy, where applicable with voting instructions, to a third person via www.ing.evo-platform.com/digi when registering for the AGM no later than by Tuesday 23 April 2019 at 5.00 pm EEST. Only holders of class B shares (which for the purpose of this notice includes holders of rights of usufruct and pledgees with voting rights in respect of those shares) may also give voting instructions via www.ing.evo-platform.com/digi no later than by Tuesday 23 April 2019 at 5.00 pm EEST. Persons entitled to attend the AGM (which includes persons granted with a proxy in the manner as described above) will be requested to identify themselves at the Registration Desk prior to admission to the AGM and are therefore requested to bring a valid identity document. At the day of this convocation, the Company has an issued share capital of EUR 6,810,042.52 consisting of 64,556,028 Class A Shares, each having a nominal value of EUR 0.10 and 35,443,972 Class B Shares, each share having a nominal value of EUR 0.01. 4,409,361 Class A Shares and 857,450 Class B Shares are held by the Company in its own share capital (in treasury). No votes may be cast for shares held by the Company in its own share capital. Therefore, the total number of voting rights at the day of this convocation amounts to 636,053,192. BUCHAREST, Romania, 18-Mar-2019 — /EPR FINANCIAL NEWS/ — In accordance with the ASF Regulation no. 5/2018 and art. 2 of the Commission Delegated Report (UE) 1052/2016, DIGI COMMUNICATIONS N.V. reports to the regulated market (Bucharest Stock Exchange “BVB”, Romanian Financial Supervisory Authority “ASF”, the Dutch Authority for the Financial Markets “AFM”) the transactions which occurred under the DIGI symbol between 11 March 2019 – 15 March 2019. BUCHAREST, Romania, 15-Mar-2019 — /EPR FINANCIAL NEWS/ — Digi Communications N.V. (“Digi” or the “Company”) announces that on March 15, 2019, the Report regarding legal documents concluded by DIGI Communications N.V. in February 2019 or in other period but effective in February 2019 issued in accordance with article 82 of the Romanian Law no. 24/2017 and FSA Regulation no. 5/2018 was made publicly available on the Romanian Stock Exchange (“BVB”) and the Company’s website, while also being available with the Romanian Financial Supervisory Authority (“ASF”) and the Dutch Authority for Financial Markets (“AFM”). BUCHAREST, Romania, 12-Mar-2019 — /EPR FINANCIAL NEWS/ — In connection with the Company’s €200,000,000 5.0% Senior Secured Notes due 2023 to be consolidated and treated as a single class with €350,000,000 5.0% Senior Secured Notes due 2023 (the “Additional Notes”), which were issued by the Company in February 2019, we would like to inform the market and its investors that, on 11 March 2019, the board of the Irish Stock Exchange (the Euronext Dublin) approved the admission of the Additional Notes to listing on the Official List and trading on the Main Securities Market of the Irish Stock Exchange. BUCHAREST, Romania, 11-Mar-2019 — /EPR FINANCIAL NEWS/ — In accordance with the ASF Regulation no. 5/2018 and art. 2 of the Commission Delegated Report (UE) 1052/2016, DIGI COMMUNICATIONS N.V. reports to the regulated market (Bucharest Stock Exchange “BVB”, Romanian Financial Supervisory Authority “ASF”, the Dutch Authority for the Financial Markets “AFM”) the transactions which occurred under the DIGI symbol between 4 March 2019 – 8 March 2019. BUCHAREST, Romania, 5-Mar-2019 — /EPR FINANCIAL NEWS/ — The Company would like to inform the market and its investors that, in accordance with the provisions of article 19 para. (1) of the Market Abuse Regulation, on 4 March 2019, Mr. Serghei Bulgac, Chief Executive Officer and Executive Director of the Company, notified the Company, the Romanian Financial Supervisory Authority (ASF) and the Dutch Authority for the Financial Markets (AFM) in connection with the sale of a number of 2,388 class B shares held in the Company’s share capital. In connection with this transaction, Mr. Serghei Bulgac fulfilled the notification requirements under the Company’s internal policies. BUCHAREST, Romania, 4-Mar-2019 — /EPR FINANCIAL NEWS/ — In accordance with the ASF Regulation no. 5/2018 and art. 2 of the Commission Delegated Report (UE) 1052/2016, DIGI COMMUNICATIONS N.V. reports to the regulated market (Bucharest Stock Exchange “BVB”, Romanian Financial Supervisory Authority “ASF”, the Dutch Authority for the Financial Markets “AFM”) the transactions which occurred under the DIGI symbol between 25 February 2019 – 1 March 2019. BUCHAREST, Romania, 4-Mar-2019 — /EPR FINANCIAL NEWS/ — The Company would like to inform the market and its investors that, in accordance with the provisions of article 19 para. (1) of the Market Abuse Regulation, on 1 March 2019, Mr. Serghei Bulgac, Chief Executive Officer and Executive Director of the Company, notified the Company, the Romanian Financial Supervisory Authority (ASF) and the Dutch Authority for the Financial Markets (AFM) in connection with the sale of a number of 75,123 class B shares held in the Company’s share capital. In connection with this transaction, Mr. Serghei Bulgac fulfilled the notification requirements under the Company’s internal policies. BUCHAREST, Romania, 25-Feb-2019 — /EPR FINANCIAL NEWS/ — In accordance with the ASF Regulation no. 5/2018 and art. 2 of the Commission Delegated Report (UE) 1052/2016, DIGI COMMUNICATIONS N.V. reports to the regulated market (Bucharest Stock Exchange “BVB”, Romanian Financial Supervisory Authority “ASF”, the Dutch Authority for the Financial Markets “AFM”) the transactions which occurred under the DIGI symbol between 18 February 2019 – 22 February 2019. BUCHAREST, Romania, 19-Feb-2019 — /EPR FINANCIAL NEWS/ — Digi Communications N.V. (The Company) would like to inform the market and its investors that, by notice no 5,392/19.02.2019, the Central Securities Depository in Romania informed the Company that, on 18 February 2019, it registered the conversion of 1,200,000 A shares into an equal number of class B shares (the Conversion). The Conversion resulted into an increase with 1,200,000 shares of the class B share capital, each new class B share having a nominal value of 0.01 Euro / share. As a result of the Conversion, the allocation of the new 1,200,000 class B shares was made to the Company (as holder of treasury shares). The registration of the additional 1,200,000 class B shares was performed based on the certificate for the registration of the financial instruments no AC-4501-2/06.02.2019 issued by the Financial Supervisory Authority (ASF). -35,443,972 class B shares having a nominal value of Euro 0.01 each. We enclose to this communication the certificate for the registration of the financial instruments issued by the ASF, as well the notice transmitted by the Central Securities Depository in Romania regarding the changes operated in the shareholders’ register of the Company. BUCHAREST, Romania, 19-Feb-2019 — /EPR FINANCIAL NEWS/ — Digi Communications N.V. (The Company) would like to inform the market and its investors that, on 15 February 2019, Mr. Dan Ioniță, Co-Chief Financial Officer of the Company, exercised his stock option with respect to 10,000 class B shares, which are expected to vest in accordance with the provisions of the respective Company’s stock option plan that was approved by the Company’s board of directors from 28 December 2017 and with the Company’s policies. In accordance with the provisions of article 19 para. (1) of the Market Abuse Regulation, on 15 February 2019, Mr. Dan Ioniță, as person discharging managerial responsibilities in connection with the Company, has notified the Company and on 19 February 2019 has notified the Romanian Financial Supervisory Authority (ASF) and the Dutch Authority for the Financial Markets (AFM) in connection with the exercise of the above-mentioned stock options. BUCHAREST, Romania, 18-Feb-2019 — /EPR FINANCIAL NEWS/ — In accordance with the ASF Regulation no. 5/2018 and art. 2 of the Commission Delegated Report (UE) 1052/2016, DIGI COMMUNICATIONS N.V. reports to the regulated market (Bucharest Stock Exchange “BVB”, Romanian Financial Supervisory Authority “ASF”, the Dutch Authority for the Financial Markets “AFM”) the transactions which occurred under the DIGI symbol between 11 February 2019 – 15 February 2019. BUCHAREST, Romania, 15-Feb-2019 — /EPR FINANCIAL NEWS/ — Digi Communications N.V. (“Digi” or the “Company”) announces that on February 15, 2019, the Report regarding legal documents concluded by DIGI Communications N.V. in January 2019 or in other period but effective in January 2019 issued in accordance with article 82 of the Romanian Law no. 24/2017 and FSA Regulation no. 5/2018 was made publicly available on the Romanian Stock Exchange (“BVB”) and the Company’s website, while also being available with the Romanian Financial Supervisory Authority (“ASF”) and the Dutch Authority for Financial Markets (“AFM”). BUCHAREST, Romania, 14-Feb-2019 — /EPR FINANCIAL NEWS/ — Digi Communications N.V. (“Digi” or the “Company”) informs shareholders and investors that the Preliminary Financial Report for the year ended December 31, 2018 is available starting 14th of February 2018, 6:20 PM EET time, on the Company’s website (www.digi-communications.ro), at section Investor Relations. BUCHAREST, Romania, 12-Feb-2019 — /EPR FINANCIAL NEWS/ — Digi Communications N.V. (“Digi” or the “Company”) announces that on February 15, 2019 (at 16:00 UK time / 18:00 EEST time) it will host a conference call to discuss the FY 2018 preliminary financial results. To participate in the conference, please follow the instructions from our web site: www.digi-communications.ro.